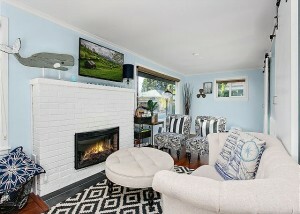 We are so excited to introduce our first Beach & Boulevard vacation rental! Welcome to your home away from home. 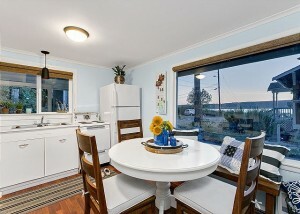 Take off your shoes, have some tea, and cozy up in our adorable bungalow located on Sundin Beach in Camano Island, about an hour north of Seattle. 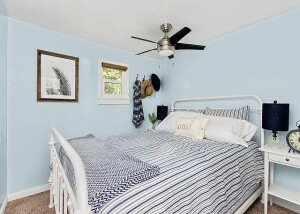 It is a 2-bedroom, 1-bath cabin with white and blue-themed interiors, the perfect beach cottage for the perfect weekend getaway. Walk to the beach, read a book on the front porch, cuddle by the fireplace, watch a movie on the flat-screen TV, prepare a meal in the full kitchen.. breathe and relax. If you are in the mood for more action, the charming, historic village of Stanwood is also only a 10-minute drive away. Our doors our open. 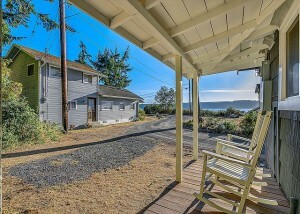 Kick back, relax and enjoy the rejuvenating peace of Camano Island. 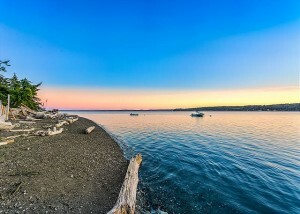 Sundin Beach has some of the most beautiful, serene sunsets on Camano Island. 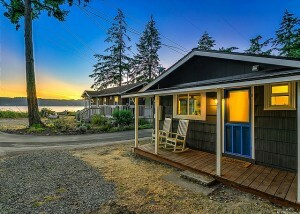 Thinking about buying your own Vacation Rental? Please contact us for more info.